Remodelling and renovating a commercial space can be exhausting. Not only that, but you will also have to invest heavily to ensure that the project is a success. The financial muscle is both for the designs and also for the materials and the work to be done. As if all these were not enough, as a business owner, you have more to worry about as explained below. First, you should lay out a clear vision and a rough plan for your commercial fit outs and refurbishment Adelaide in advance. The design and ideas should be following the type of business you have. For example, if you are in the gym and fitness business, then you will need to come up with a classic gym design for your fit out plan. You need to be very specific about three aspects of the project: time, quality and cost. If you hire a commercial fit outs company, then you have to convey your constraints and limits so that they can come up with an ideal plan for your business. Ensure that the plans are specific, even to the level of the location of emergency exits, fire extinguishers, and other essential aspects of a commercial building. The area of the company-specific equipment and machinery must also be included in the plan before any work can begin. When it comes to space allocation in the office building, exhaustive space design and planning should be completed first. When allocating space, it is crucial that you consider the body size as well as the height of your employees. It will ensure that they are comfortable in the office. Other important aspects to consider, include the lighting as well as the design of your office interior. Lighting fixtures create an atmosphere that is essential in a retail outlet because an impressive retail interior design helps attract customers to your business. Office fit-outs specialise in this and they will as well address lighting issues. When it comes to commercial fit outs and refurbishment Adelaide, you can make use of colourful paint and other attractive visual designs that can make your office or retail outlet stand out from the rest of the stores in your local area. 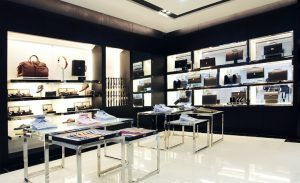 Choosing the right style of walls, colour, the doors and other partitions is very important in retail interior design. The kind of office space that you have for your business will reflect the type of products and services that you sell. The furniture and fixtures within your office must also be well-thought of because they play a critical role in the design of your office or store. The bottom line is knowing what is right for your business and then looking for a reliable office fit outs company to make things happen.